Mala is a Managing Partner and shareholder with Stanton Chase India. She is a trained Civil Engineer, and she puts her Engineering degree to best use by understanding and resolving leadership challenges of Manufacturing & Industrial companies. She is a consultant with great integrity, deep knowledge, and a vast international network. She has been a trusted advisor to her clients for over a decade. Mala started her career selling welding and glass solutions. 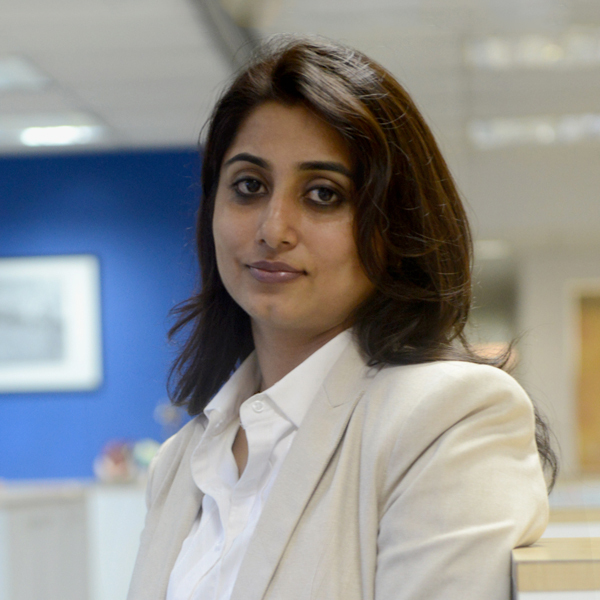 She became a recruiter in 2004 working for Adecco India, part of one of the world’s largest recruitment outfits. She later had a 12-year stint at the ABC Consultants group, where she became the star search consultant that she continues to be today. She worked in the Delhi, Kolkata & Mumbai offices of ABC, winning numerous performance awards. She later moved to their headhunting arm called Chairman’s High Circle (CHC) and later participated in CXO appointments. When CHC became Stanton Chase, she became a part of the network and was later handpicked by the global board of Stanton Chase to be a partner and shareholder in India. Mala is known for her eye to client needs and candidate fit. She is a fantastic listener and interpreter of situations. Mala grew up in the hills of Himachal and now lives in Mumbai with her husband and two children. She is fond of movies and food.